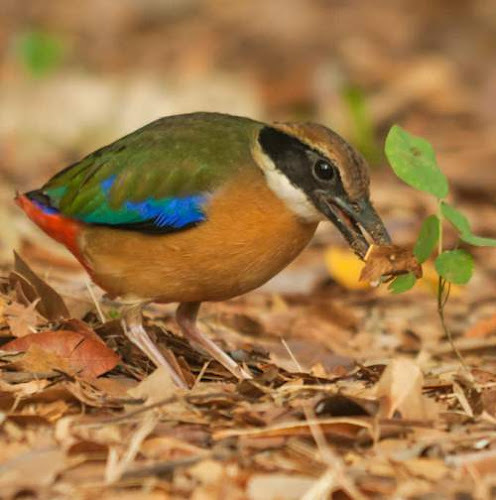 The mangrove pitta (P. megarhyncha) belongs to the family the Pittidae under the order Passeriformes. 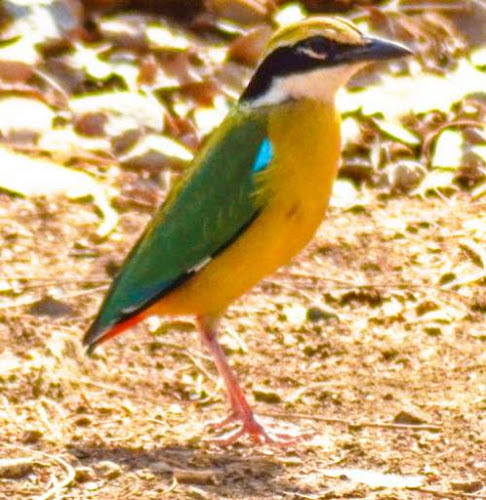 The family Pittidae was first introduced by William John Swainson FLS, FRS (8 October 1789 – 6 December 1855), an English ornithologist, malacologist, conchologist, entomologist and artist, in the year 1831. The family Pittidae comprises three genera. 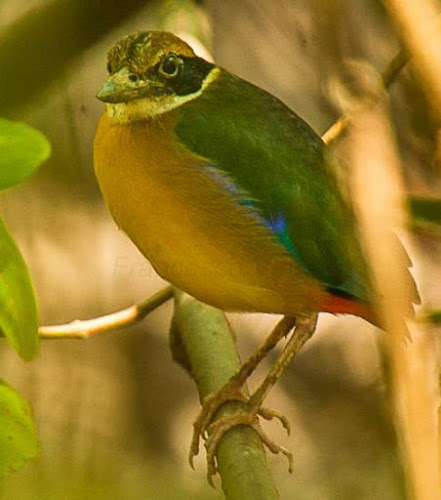 The genus Erythropitta was described by Charles Lucien Jules Laurent Bonaparte,(24 May 1803 – 29 July 1857), a French biologist and ornithologist, in the year 1854. 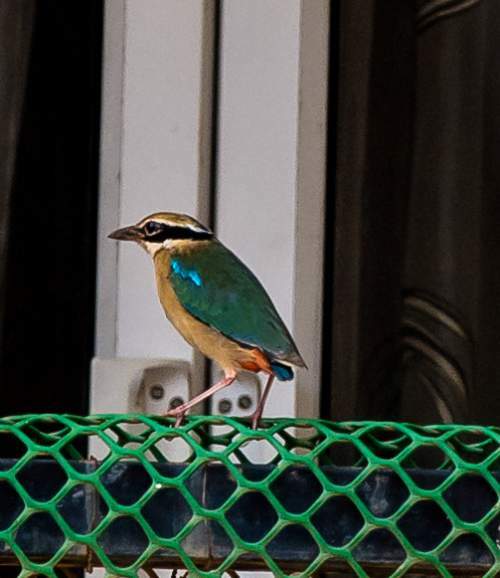 It comprises fifteen species. 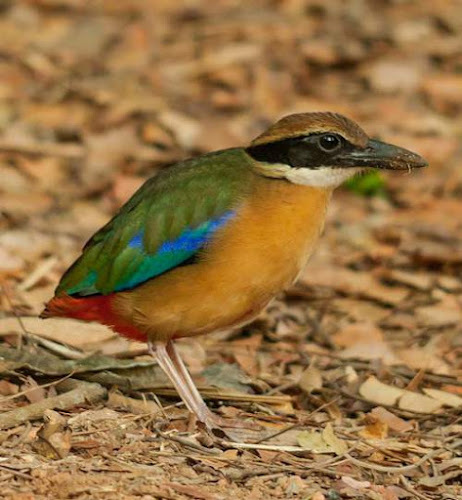 The genus Hydrornis was introduced by Edward Blyth (23 December 1810 – 27 December 1873), an English zoologist, in the year 1843. The genus Hydrornis comprises thirteen species. 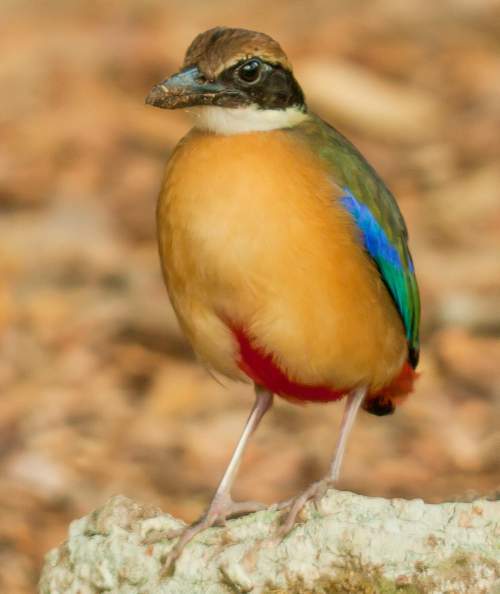 The genus Pitta was first described by Louis Pierre Vieillot (May 10, 1748 – August 24, 1830), a French ornithologist, in the year 1816. It comprises fourteen species. 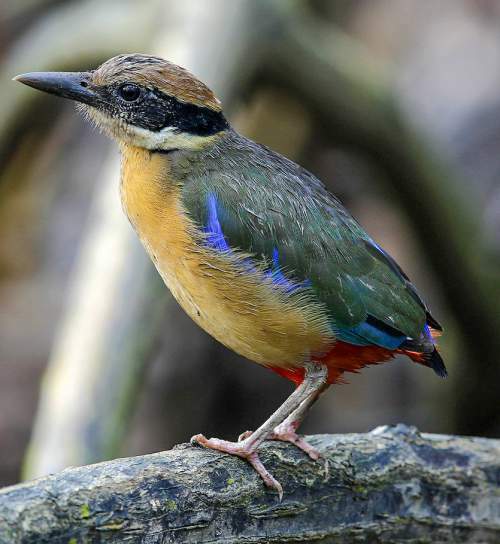 The species Pitta megarhyncha was introduced by Hermann Schlegel (10 June 1804 – 17 January 1884), a German ornithologist and herpetologist, in the year 1863. 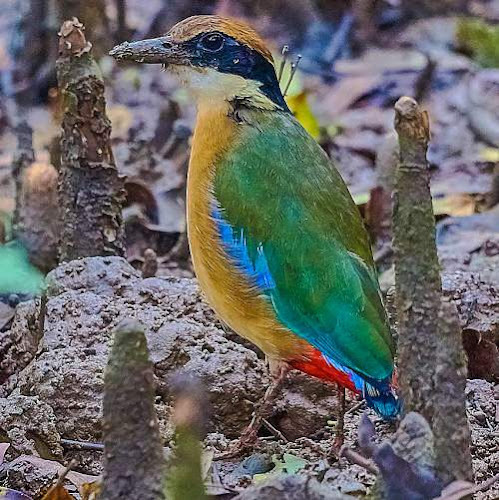 Current topic in Birds of India: Mangrove pitta - P. megarhyncha pictures.